Local firm with all year round low prices! Call us today for a FREE no-obligation quote. high security and low maintenance. 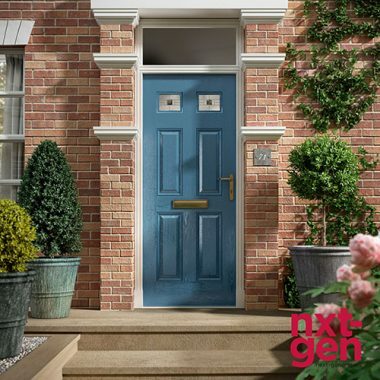 All composite doors available in a wide range of colours. 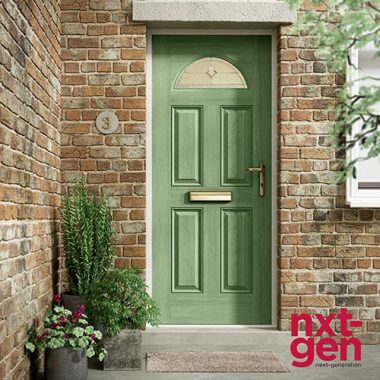 Stunning aesthetics, enhanced security, ultimate energy efficiency, over 30 door styles in 40 colours and a 25 year manufacturers warranty makes a K&M fitted Distinction Composite Door a perfect and unique choice for your home. The UK’s No.1 selling entrance door. 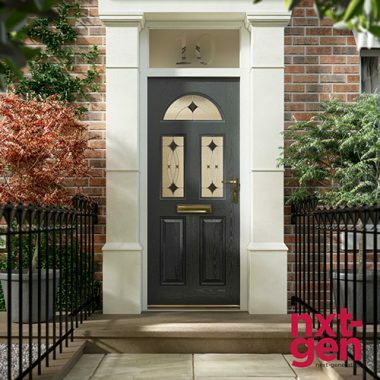 With over 3 million Distinction Composite Doors installed since 1999, they are tried and tested by homeowners all over the United Kingdom. Offering enhanced security thanks to its rigid polymer sub-frame, high density insulated core and high impact resistant GRP skin, your Distinction Composite Door has attained certification to ‘Secured by Design’ – a police initiative to protect against unlawful intrusion. The woodgrain finish on a Distinction GRP composite door is developed from oak tree wood grain, creating a beautifully authentic appearance. 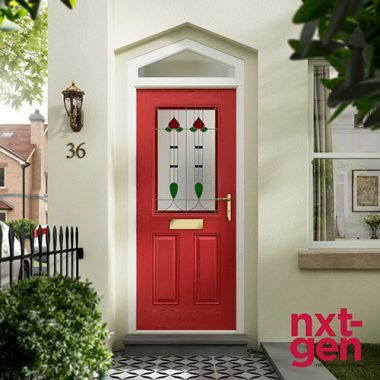 The range of colours, styles and glass options will make your door truly unique and all of the glass designs complement the door styles and colours and are triple glazed for extra security and energy efficiency. Talking of energy efficiency, a Distinction Glass Re-Enforced Plastic (GRP) composite door is the best choice you can make. Independently test results prove the Distinction composite door is more than 17%+ more thermally efficient than alternative doors. All of the doors are manufactured to the highest of standards and built to stand the test of time. The door’s durability is reflected by the comprehensive 25 year structural and surface warranty that is offer with all Distinction products. 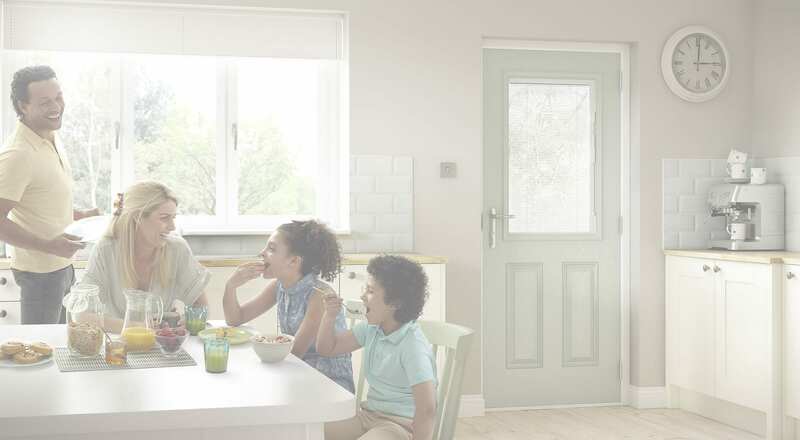 The use of water resistant polymer material, reinforced with Laminated Veneered Lumber, high density insulated core and a thermoset GRP skin keeps your door looking great whilst also protecting it from the great British weather. To view the full Distinction Composite Door range including colour and glass options, click the button below. Qualified & experienced tradesmen in each field. Ensuring you have an outstanding job done each and every time. Covering Manchester, Bury, Bolton, Stockport, Oldham and beyond. K & M Installs Ltd is a Manchester based firm which specialises in home improvements and maintenance. Windows, doors, composite doors and roofline are at the heart of our business. With our three Directors all qualified tradesmen in each field, we have the knowledge and experience to ensure you receive outstanding service each and every time. With many existing customers we continue to grow in reputation due to the quality of our work and customer satisfaction. We don’t employ salesmen and don’t believe in high pressure sales for high profits. Our goal is to bring you top quality products and high levels of service for honest low prices, which will leave you wanting to recommend us to your friends. © 2019 K & M Installs Limited. All rights reserved.